In an open letter co-signed by 13 regional and statewide organizations and elected officials, Pittsburghers for Public Transit (PPT) is calling on Governor Tom Wolf to appoint rider advocate Heather McClain to the expired Port Authority Board seat currently occupied by Robert Kania. PPT believes that the demographics of the Port Authority board should reflect the demographics of the riders, and that board members should have a deep understanding of the importance of transit in advancing equity and economic development. Moreover, effective board members must be regular users of the transit system which they oversee, in order to understand and uplift the grassroots expertise of fellow riders and operators. Current Port Authority Board member Mr. Kania is the subject of a campaign finance complaint recently filed by the DC-based nonprofit transparency organization Campaign for Accountability, for failing to register with the state around his political activity and report campaign finances. Moreover, the term of his appointment by Republican former Governor Corbett expired in 2017. WESA broke this story back in November and covered it again in December. This week the Post Gazette and WESA took an even deeper dive into Kania’s grossly inappropriate behavior. 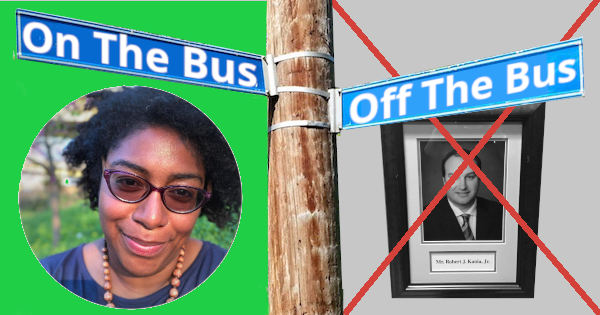 PPT is calling on Port Authority transit riders to write to Governor Wolf and encourage him to appoint Heather McClain to the Port Authority Board of Directors. Riders can send their letter here.